We all love the warm weather. There is no need for heavy dressing and the typical day can be a very productive one. Well, it can’t be as much fun as you want it to be if you don’t have a cold drink to keep you refreshed when the heat is too much. For the caffeine lovers, this is the perfect time for iced coffee or cold brew coffee. It all depends on what you prefer as both will give you the dose of caffeine that you need so badly. In recent times though, cold brew is beating iced coffee on the popularity scale. 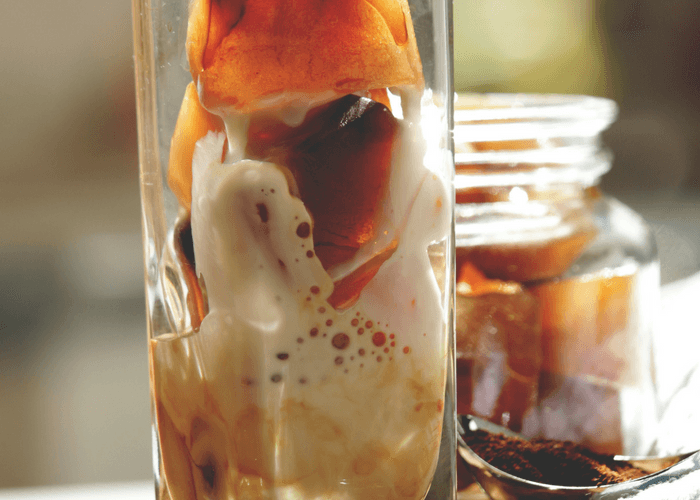 The high-end cafes are slowly turning cold brew coffee into the universal summer drink. What is the difference between the two though? 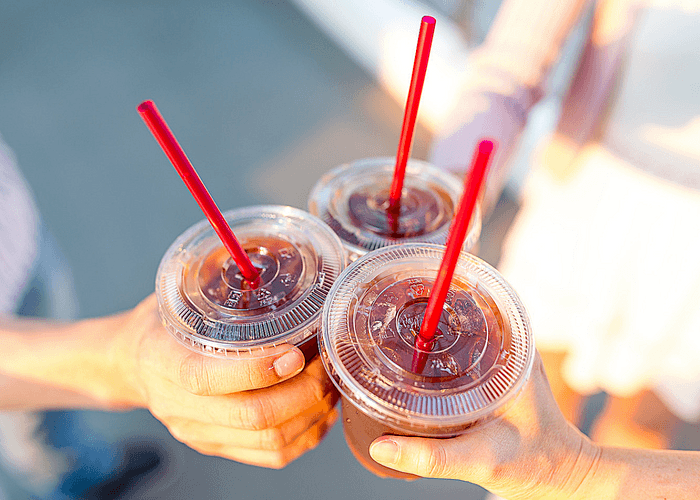 And why is cold brew suddenly the preferred choice? Cold brew is not the same thing as iced coffee and even the flavors and preparation methods show that. These cold caffeinated drinks are made differently. Cold brew is made without any heat, which makes the drink smoother since it has lower acidity, thus giving it a natural sweetness that cannot be found in iced coffee. Iced coffee on the other hand is brewed double strength before it is cooled down. This makes the drink lighter. It is sweetened and served with a dash of milk. 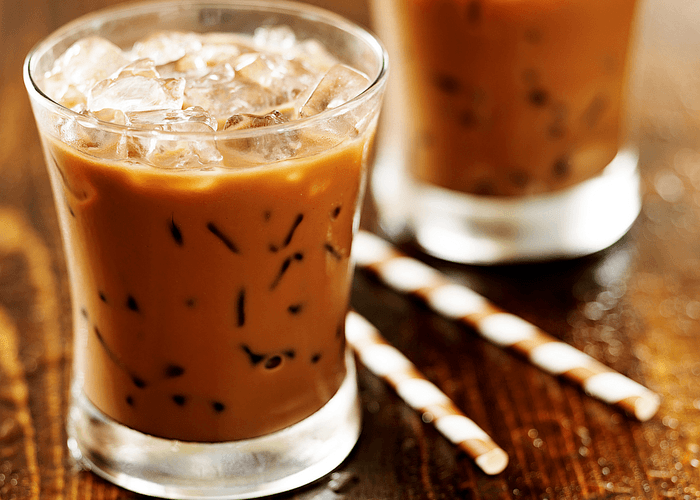 Iced coffee is easier to make because it is essentially normally brewed coffee that is allowed to cool down and sweetened. The idea in this case is to use cold water to draw the flavors from the coffee. It takes more time since cold water doesn’t do the extraction nearly as fast as hot water. Slow-drip Cold Brew - it is made by allowing single droplets of water to fall on the coffee grounds slowly. The drops then extract flavor before draining. This method should take about three to six hours. It takes a much shorter time since each drop of water is ready for extraction. 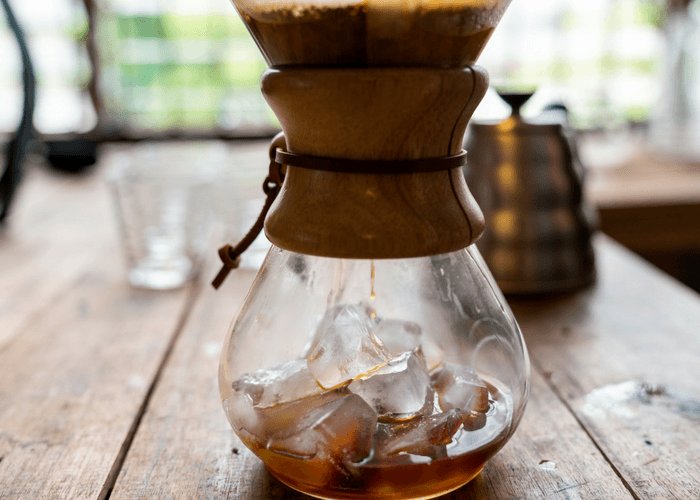 Immersion Cold Brew – this is the simplest method of preparing cold brew coffee. Coarse grounds are immersed in cold water for 12 hours or more. It has to take this much time since extraction happens slowly. It is a much simpler method though, and can be done using a type of container such as one made especially for cold brew . What cold brew tastes like? Everything about preparation occurs differently depending on water temperature. Sugar, acids and aromatic oils all react differently. First off, the aromatic oils remain in the coffee since they are not heated and thus preserved. Cold brew also has a lesser concentration of acids and caffeine since the two don’t extract as fast in cold water as in hot water. Therefore, cold brew is less tangy and bitter because it has about 66% less of these extracts. This is what makes it less sharp with a richer and sweeter flavor and almost no acidity or bitterness. In this case, we shall be focusing on flash brewed iced coffee. This method includes making pour-over coffee and letting the draining liquid fall directly onto ice. Both steps take place at the same time so there is no ‘middle period’ between brewing and icing. It is pretty simple because all you have to do is add ice cubes to your carafe and reduce the amount of water you use to brew by about 30%. Now brew your coffee as normal. 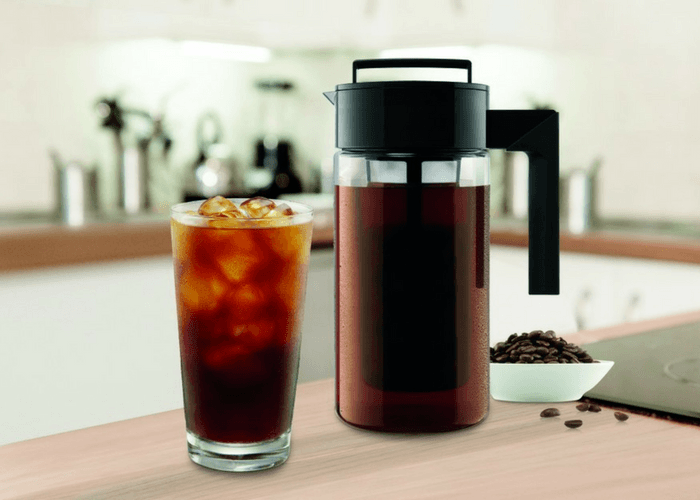 Flash brewing is one of the best ways to make iced coffee. It is not like simply brewing it and pouring it over ice. A Pleasant Coffee Potency: Normal coffee poured over ice is way too dilute to be as enjoyable as you would like iced coffee to be. This method reduces water usage from the onset, keeping the coffee rich in flavor and balanced as well. Don't Lose the Aromas: The aromas tend to escape from the coffee while you are brewing. Instead of evaporating, the aromas remain in the cup. This gives the coffee a bit more flavor. The acidity that most people associate with iced coffee is still there since you are brewing with hot water. However, with this method you get a richer flavor profile and sweetness. The taste is also much more balance as compared to the normal methods of brewing. 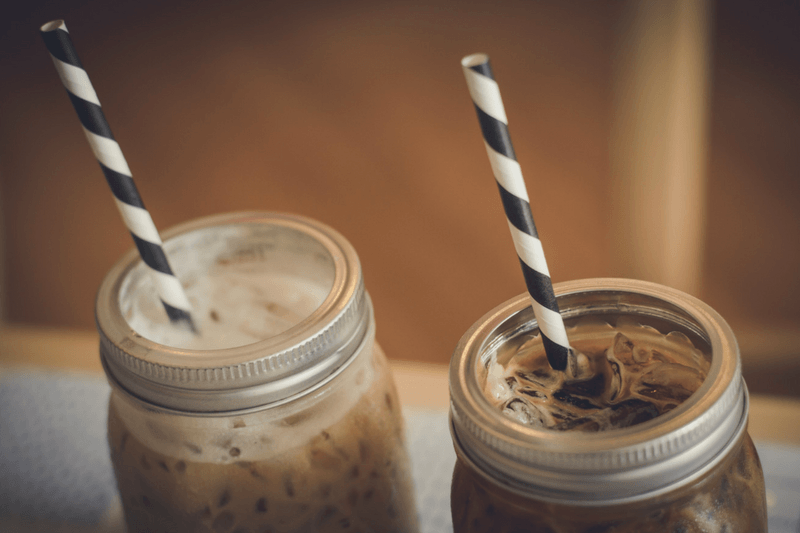 Iced coffee vs cold brew; which one would you rather have? People may have different preferences but now we have to set the two apart and decide on a favorite. We are going with cold brew for obvious reasons. Granted, iced coffee is much easier and faster to make, but it is not so drinkable when black. It is harsher to taste and you will definitely feel the metallic sensation in your mouth once it cools down. So why cold brew? To start with, it is a concentrate with a softer taste. Cold brew takes much longer to prepare and the process is not as easy either, but that in itself wins you a lot of points if you were to serve it at a barbecue in your backyard. When you do it right, cold brew can have chocolate notes, with a Guinness-like feel that makes it the more refreshing. What’s more, cold brew will not taste lighter upon adding ice or milk because it has been brewed as a concentrate. A lot of the times people complain about iced coffee, the main problem is it being too dilute when you add the milk or just by having the ice cubes in there.